iPage Shared Hosting is the perfect and one-size-fits-all web hosting that meets all of your online needs at $1.99/month. They include everything you need to build and launch your new website. They also provide best tools to market your website and attract an audience. All new iPage accounts include over $500 in resources to help your website grow. These include a $100 Google AdWords bonus, $100 in Bing Ads credits, SiteLock website security, and more! 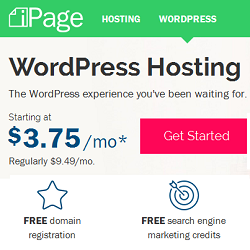 iPage helps you to build your dream website in just $1.99/month. You can host unlimited domain names with unlimited disk space, scalable bandwidth and unlimited MySQL databases. You can use their easy-to-use website builder to create a professional and mobile-friendly website in no time. 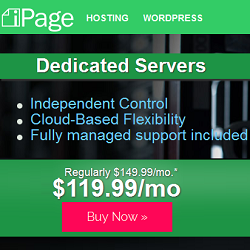 How to Get iPage Shared Hosting Deal? 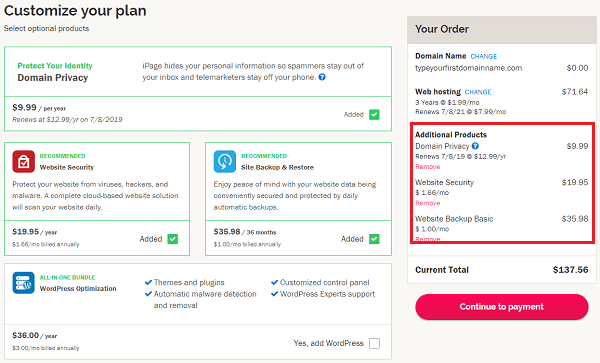 To grab iPage shared hosting deal with 75% promo discount, just go through the steps and screenshots given below and create your web hosting account with iPage. STEP-1: Visit iPage website and click on “Get Started Now”. STEP-2: Type your domain name in search box and click on Search button. Your domain is available or not, will be displayed in results section. Your first domain name registration will be FREE ($0.00). Now click on Next, choose my term. STEP-3: The next step is to select the term for your hosting plan. To get the maximum discount, select the term for 3 years. You will get Free Domain Name, Free Email Addresses, Free Marketing Tools, Free Website Builder and 30 Day Money Back Guarantee with the plan. Now click on Next, customize my plan. STEP-4: By-default Domain Privacy, Website Security and Website Backup Basic products will be selected. These are the recommended products for any website. If you still don’t want to buy them, you can un-check all the options in the left and you will have to pay only hosting price. Now click on Continue to payment. 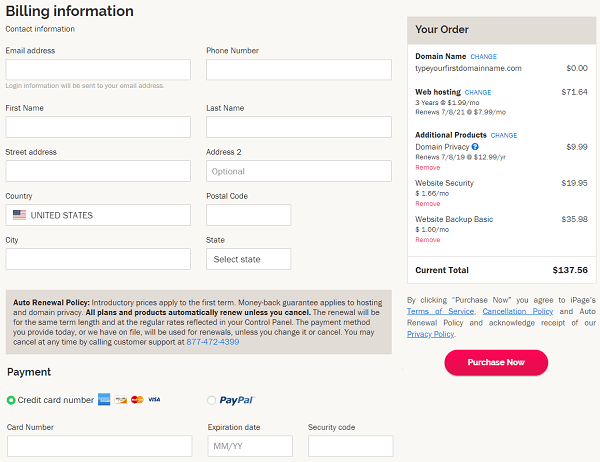 STEP-4: Fill your billing information carefully like your Email address, Phone Number, Name and Address. Now select the payment mode. You have two options, either you can make the payment through credit card or PayPal. 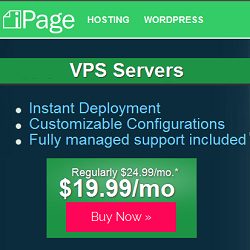 Now click on Purchase Now button to create your hosting account with iPage. Congratulations!!! Your iPage account created successfully.